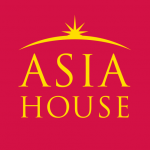 A common view within the academic and policy communities of East Asia is that the region is in a period of transition. More specifically, the Chinese-led order is upending the US-led order in East Asia. The US-led regional order, which is defined by several features, including the hub-and-spoke system of alliances, has been an important source of stability since the onset of the post-war period. However, this order is facing strains, mainly from China-led initiatives. Though it has benefitted from the U.S.-led post-war order, China is widely viewed as creating an alternative system to achieve its interests as an emerging power, and not be restricted by existing rules and norms. This push is visible through its ambitious initiatives, namely the Belt and Road Initiative (BRI), and New Maritime Silk Road initiative, and the formation of the Asian Infrastructure Investment Bank (AIIB). With such bold initiatives supported by strong leadership and a vast amount of resources, it is not far-fetched to argue that China will achieve the goal of building a China-led order in the near future. This commentary assesses Japan’s view of this transition. Japan played a significant role in building and maintaining the US-led order and remains a strong supporter of this system. What follows is a summary of interviews conducted by the author in Tokyo in January 2018 with current and retired government officials, researchers from government-linked think-tanks and academics. The interviews focused on the following three questions below. What is Japan’s view of the state of regional order? The Japanese government and academics think about the regional situation in binary terms, between the U.S.-led order and Chinese-led order. One view is that China aims to replace the U.S. alliance network with a Chinese-centred partnership system that is based on a hierarchical system (similar to its internal order). China has started creating a sphere of influence across Southeast Asia through changing the facts on the ground as witnessed in the South China Sea. This will be followed by expanding its influence over Northeast Asia. To be sure, this will be a gradual process, starting with co-sharing of East Asian leadership with the US with the eventual goal of achieving the tributary architecture. Another view is that China is not implementing an alternative regional order, as China is unable to act like the US. Nevertheless, Chinese efforts are delegitimising the existing US-led regional system. However, for now, China would support — and even strengthen — the U.S.-led order as it continues to benefit from it. Some interviewees also held the Trump administration responsible for the change in the regional situation. President Donald Trump’s lack of a strategy for Asia is forcing countries to choose between the United States and China. Japanese policy-makers are concerned about declining U.S. leadership, as illustrated in its withdrawal from the Trans-Pacific Partnership. The question is whether Japan and others will challenge Trump’s narrow “America First” approach in the region and protect the existing rules. Does Japan view China’s initiatives as disruptions? Japanese views of whether Chinese initiatives are disruptions to the current order were divided into three groups. The first group are those that tend to reject all Chinese initiatives. The impact of this group is marginal, and the Abe government has not adopted this view. The second group viewed positively Japan’s participation in the Asian Infrastructure Investment Bank (AIIB) and the Belt and Road Initiative (BRI). Takaya Imai (Chief Secretary to the Prime Minister), Toshihiro Nikai (Secretary General of the Liberal Democratic Party), officials from the Ministry of Economy, Trade and Industry, and the business community belong to this group. By participating in the AIIB, Japan is able to push reforms from within, and gain access to capital for infrastructure building. Japanese businesses can also take advantage of the opportunities. Moreover, the AIIB’s progress has led to a more positive reading about the bank in Japan. The third group argued that Chinese initiatives are tools for China to achieve ‘great power status.’ Some officials in the Kantei, Ministry of Foreign Affairs and the National Security secretariat fall into this group. The view here is that while Japan and China could benefit immensely from collaborating on these initiatives, China has its own strategic intentions that may not be compatible with Japan. 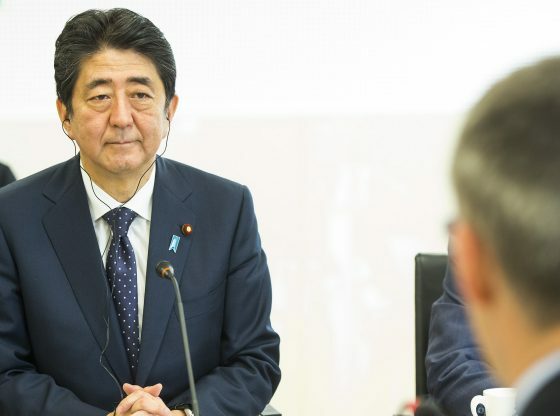 Prime Minister Shinzo Abe is forthcoming to the BRI but is keenly aware of the negative implications for Japan’s security, especially in the maritime domain. China’s growing confidence, especially after the 19thParty Congress, has led to the country trying to manage Japan from a superior position. Additionally, Japan is worried that ASEAN will become too economically dependent on China. What is Japan’s preferred vision of East Asian order? Generally, all interviewees agreed that Japan prefers the continuation of the current liberal international system. Amid uncertainty about U.S. leadership in East Asia, Japan has been forced to engage with Chinese proposals and step up as a leader in supporting the U.S.-led order. In terms of security, maintaining a balance of power and defining behavioural rules are important. Japan would continue to strengthen the U.S.-Japan alliance — expanding its role within the alliance — as well as enhance bilateral and multilateral cooperation with partners and allies. The Abe government is also focused on making the East Asia Summit the premier institution in the regional architecture, which could weaken Japanese support for ASEAN centrality. Part of Japan’s support for the existing order should also include reforming it to ensure that it is able to serve the region’s changing needs. An example is Japan’s proposal of the Indo-Pacific strategy in 2006. Although the strategy is not well articulated, Japan is serious about putting meat on the bone. The strategy presently comprises two parts: (i) maritime (freedom of navigation, capacity building, joint exercises, strategic port visits); and (ii) improved connectivity (infrastructure-building of port facilities, East-West Corridor in Indochina). This strategy enhances cooperation among allies and partners to sustain the U.S.-led regional order and counter China — the essence of the Indo-Pacific concept. Nevertheless, the Abe government is very cautious about being perceived as targeting China and would like ASEAN to be involved in the Indo-Pacific strategy. Japan would like to make sure ASEAN states do not have to choose between the BRI and the Indo-Pacific strategy. Bhubhindar Singh is Associate Professor and Coordinator, Regional Security Architecture Programme (RSAP), S. Rajaratnam School of International Studies (RSIS), Nanyang Technological University (NTU), Singapore. Image Credit: CC by NATO North Atlantic Treaty Organization/Flickr.